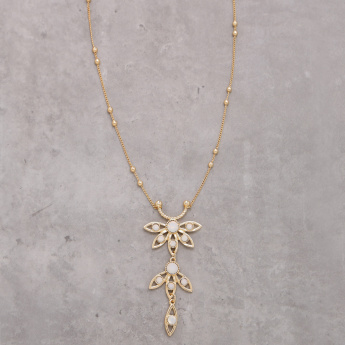 Pair up this striking looking necklace with your stylish outfit and be the centre of attention. The floral applique pendant looks sophisticated and radiates elegance. 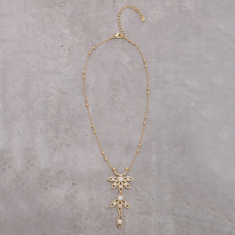 Featuring a lobster clasp, this necklace can be a worthy pick.